In 1947 John Steinbeck published a novella titled The Pearl. The story itself was based on a Mexican folk-tale but the telling was pure Steinbeck. The story is set on the coast among a small town with a group of indigenous people who live near the sea. Kino is one of the Indian men. He and his family survive from what they can obtain from the sea, they live in small brush huts and sell pearls to make money to survive. Kino has a wife Juana and an infant son named Coyotito. As the story begins Coyotito is stung by a scorpion. Desperate Juana insists that the child be taken to the Doctor, an odd request to make for an Indian since the Doctor will probably not treat the child. The Doctor as expected turns the family away without even seeing the baby once he finds they have no money to pay him. Kino and Juana then head to the ocean to find a pearl with which to pay the doctor. As Kino dives he finds a large, beautiful pearl. A pearl that will be forever be known as “the pearl of the world” by his people for all time to come. This pearl is the basis for the entire story and while I do not want to give away anything I will say the story itself is not one of happiness. 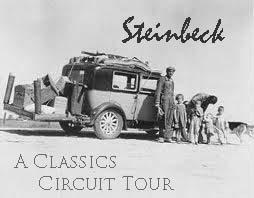 Then again this is a work by Steinbeck and “feel good” stories were not necessarily his forte. The Pearl in the end is a warning…to the poor to stay in their station. To poor people- to be content with what life has given them and to remain within their class structure and most importantly to all- to not tempt fate. Deeply descriptive and minutely detailed The Pearl is a story that feels as if it has been passed down for hundreds of years. A cautionary tale told by the fire. Steinbeck manages to share the folk-tale while also making it clearly his own. 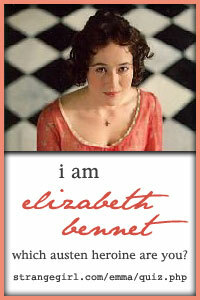 For lovers of Steinbeck it is not to be missed. For the average reader it is a tale of sorrow but beautifully written. This sounds pretty good. The only thing by Steinbeck that I’ve read is Of Mice and Men and I’m not sure if that really counts, because it was required reading for school, and I’d made up up mind in those days to scoff at anything I was suppose to do. Great post! I’ve read a few excerpts of this book, and I liked them. I just don’t know why I’ve never read the whole book. It’s a really short read. The book that I read only had about 48 pages…I read it in two very short sittings. Nothing like many of his other works I have read which were not only long but very detailed…they really take a lot out of you at times. I read The Pearl in Jr. High School. It was my very first Steinbeck. It was when I fell in love with his writing. I’m putting this one on my ever lengthening list especially as it’s short – I’ve so many books to read. I loved Travels with Charley but hadn’t read anything by Steinbeck since my schooldays. The Pearl was my first introduction to Steinbeck in high school, and it didn’t really impress me in any way. I’ve gone on to love Steinbeck, but still shy away from a reread of this one. I think maybe I would appreciate it more as an adult. I haven’t read this Steinbeck tale yet, I need to add it too my list. I loved “Then again this is a work by Steinbeck and “feel good” stories were not necessarily his forte” – too true!